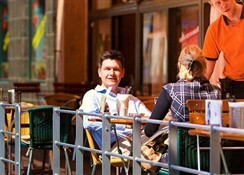 The Charles Central hotel is situated in a residential area on the border with the city centre Prague 1. It enjoys an excellent connection via public transport to the city centre. 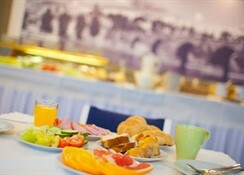 The Hotel offers 37 double rooms of which 20 can be made into triple rooms. 9 apartments are available as well. 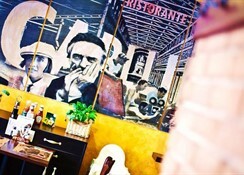 The rooms are equipped with bathrooms, WC, direct dial telephone and satellite TV. 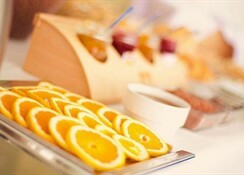 Buffet breakfast is served every morning in the dining room, and it includes warm and cold dishes. 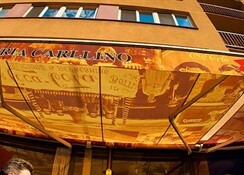 You can enjoy a nice meal at the on-site Pizzeria Ristorante Carllino. The hotel reception is open around the clock; additionally, the hotel offers a safe for guests, and guarded parking. Public transport: During the day, you can reach the city centre in 5 minutes by metro (the station KRIZIKOVA is located just off the hotel) or by tram. At night, it takes approximately 10 minutes to reach the hotel from the city centre.